In Nottingham, we had a very successful strike with our colleagues from PCS, Unite, Aslef and others today. In terms of how the strike was observed by members of UCU, I believe it was at least as good as N30 – an opinion arrived at after hearing reports from most of our branches. It just goes to show that UCU members are up for this and, even given the short notice and the pressure on reps, our people were able to deliver the goods. Obviously the rally was not as big as on N30 but there were less unions on strike! It is clear that people want that sort of unity again. I heard no-one complaining that we were not on strike with other teaching unions – they were just pleased that we were on strike at all. We had a well attended and inspiring rally in Nottingham Market Square and another one at the QMC hospital. There were speakers from all unions on strike and some who weren’t but would like to be. There was also a significant presence from various anti-cuts groups and students. Our members want to fight back. We need to give them the opportunity to do so. There was a joint strike rally in Birmingham outside the hospital, which moved into one of the university lecture theaters to hear speeches from Birmingham Trades Council, PCS and Unite as well as Kathy Taylor, president elect of UCU. Pickets outside Tower Hamlets College. 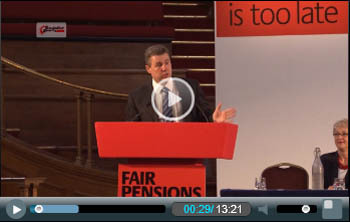 Mark Serwotka spoke at a rally in London and gave a special mention to UCU for the action which we have taken, and the role we have played in this dispute. 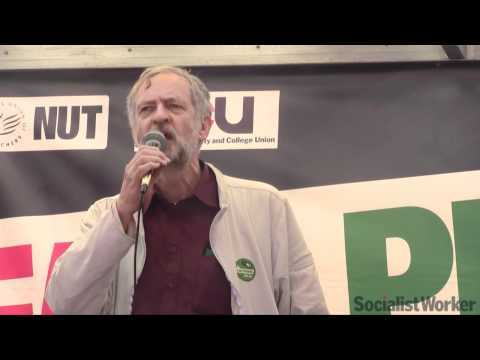 Thanks very much to the Socialist Party for this video. The original can be found here. 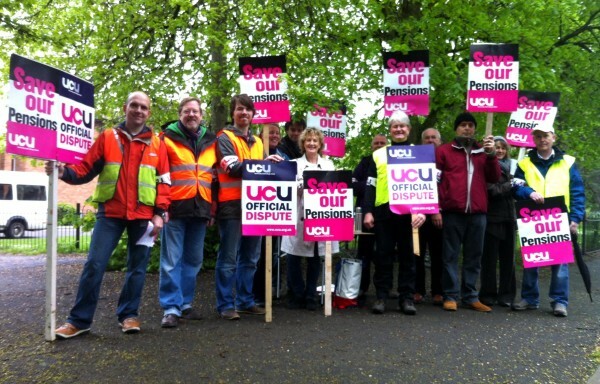 A strong turn out at Strode with many staff out and a well manned picket line from 7.30 – 10.30. We gave out hundreds of fliers and talked to many many people about the issues. Received solid support from the public, staff and students and got a press photo taken for next week’s papers. Hope there is good support across the region and that the raised profile about the issues, in todays media, continues into the weekend.